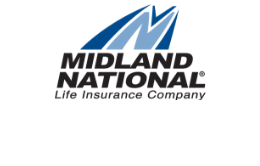 In 1958, Reserve Life Insurance Company based in Dallas, Texas, acquired the majority of Midland National stock. 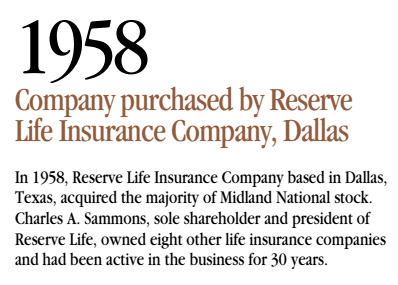 Charles A. Sammons, sole shareholder and president of Reserve Life, owned eight other life insurance companies and had been active in the business for 30 years. In addition to health and life insurance companies, Sammons acquired control or substantial stock interests in diverse industries. These businesses included hotels, travel related companies, equipment, industrial and energy distribution, cable television, bottled water, real estate and manufacturing. 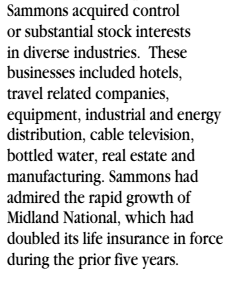 Sammons had admired the rapid growth of Midland National, which had doubled its life insurance in force during the prior five years. To learn more about Charles A. Sammons, click here. To learn more about Sammons Financial Group, click here. To view the full history of acquisitions since 1906, visit the acquisitions page.